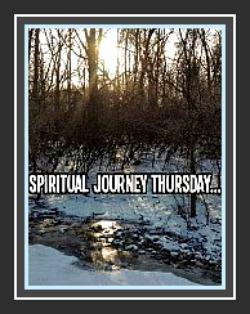 This entry was posted in Inspirational and tagged Mercy Reflections, Spiritual Journey Thursday. Bookmark the permalink. I can tell you’ve given this a lot of thought and reflection, Bobbie. Mercy/ being merciful is indeed a big one-little-word, but the picture you leave us with, of you standing on your father’s shoes while he leads you in the dance is what I find ever so meaningful. May we all dance with our heavenly Father that way – to the tune of mercy, or love, or hope, or patience or any of the graces He leads us in. 🙂 Amen! Thank you so very much for reading and affirming that remembrance. So glad it resonated with you! Funny how the Lord (in this case unexpectedly!) brings to mind some things from our past to provide transfer-images to lead us closer to Him. I like the way you broadened the dance to include other steps and rhythms! Thank you for giving my OLW extended meaning. God bless you! Like Violet, I loved this image:” I take heart that when I was little, I would dance with my human father by standing on his shoes, and I would move along with him. Maybe that’s what I need to do now–to ask the Lord Jesus, Who the Holy Father says is ‘the face of the Father’s mercy,’ to dance me–to lead me–into being merciful like our Heavenly Father.” I’m glad we were able to explore this word with you. It’s such a beautiful word and concept – especially when it is put into practice! Those Luke verses are ones to put everywhere where we can see them!! Thank you for sharing my OLW and for taking time to read and to comment on the image that struck you. God bless you; you are most merciful like the Father!